The Kala Makala Waterman – Best for adventures and water play! Now that we’ve established why the ukulele is a great choice for a child to learn to play as a first instrument, let’s help you decide which ukulele is right for your kid. The ultimate deciding factor should be the age and maturity of your child. We’ll recommend ukuleles for different age ranges, but if you feel like your child is more advanced in their cognitive abilities and coordination with their hands, you can think about looking at a higher age range. We caution trying to get something too advanced for their first instrument though, as the ultimate goal for your child should be to instill a lifelong love of music! For the youngest of children, you’re going to be looking at options that lean more towards being toys than true musical instruments. That doesn’t mean you’re stuck with those electronics where you push a button and music plays from a speaker! 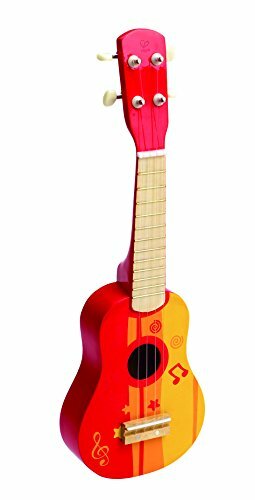 Familiarity with holding an instrument – Unlike electronic toys, this Hape ukulele for kids will teach them about proper playing position, and get them familiar with holding an instrument in order to produce sound. Rhythm – they control the sound that comes from the instrument by strumming the strings. This will help them understand the rhythm and timing that exists in music. Even if they can’t master a strum pattern or play consistently, it forms the building blocks for their future success. 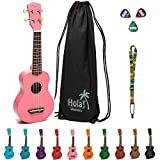 Exposure to real strings and frets – this ukulele lets your kids explore the relationship between real strings of an instrument and the frets on the fretboard, and how they interact. He’s only really strumming along and singing to himself, but 4 days after he got it he was asking me how to make a song. We wrote a short song together about our labrador puppy. Those 20 minute alone were worth the price. Unforgettable. Diana C, NY. If you’re concerned about a potential “hard life” for your Ukulele, a superb alternative is a plastic ukulele. The Hola HM-21 really is sensational value. If you consider just how many hours of fun, creativity and connection this instrument will bring – it’s a true no brainer. Besides coming in some pretty cool colors, the Hola! features a maple body, mahogany neck with rosewood fingerboard and bridge. They hold tuning extremely well, so that should be a gift for your ears! All in all, a fantastic buy. Just try to avoid the cheaper ukulele’s on sale. For a few dollars more, we would stick to the more traditional and tested brands. 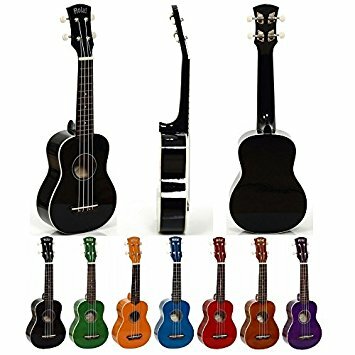 Also worth looking into at this age level is a plastic ukulele, which actually sound surprisingly good and are the most durable ukuleles you’ll find. If you think your child is more advanced or will definitely stick with the instrument, so you want to invest in something nicer, check out our next ukulele recommendation. The Kala Mahogany Soprano Ukulele is a real beauty. It features a mahogany body and neck, with a rosewood fingerboard and bridge. It has a lovely satin finish and is pre-strung with AQUILA NYGLUT strings – all ready for your youngster to get playing immediately. We love them. 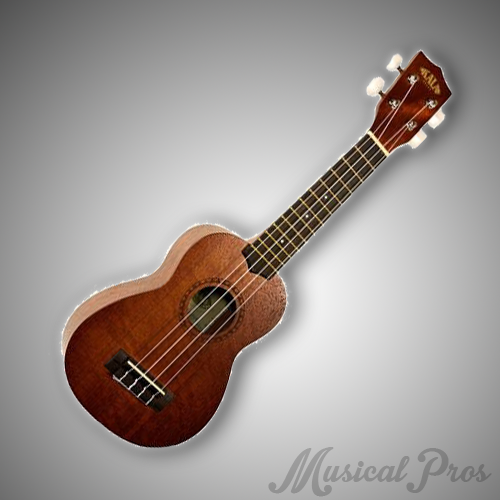 When your child hits their teenage years, it’s time to invest a bit more in a real musical instrument, so the Kala KA-15S Soprano ukulele is perfect. 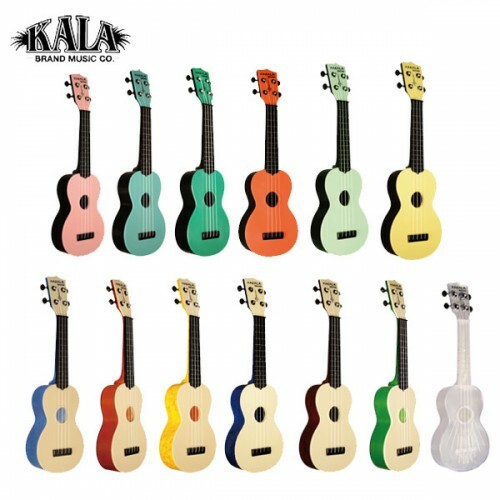 Kala is a well-respected brand name in the ukulele industry, and this ukulele comes with high-quality hardware and strings. Just read some of the reviews! 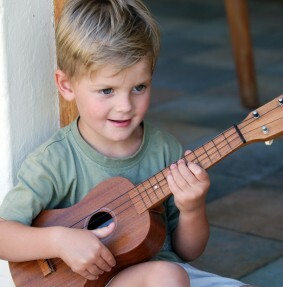 The soprano size is the smallest sized ukulele, so it’s best for smaller kids. 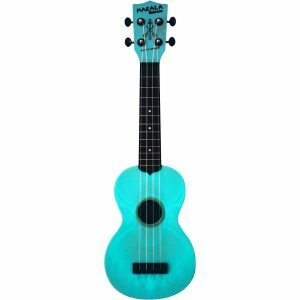 If your child is a boy or is towards the older age range, you might want to consider getting them the Concert Sized Ukulele which is a bit larger and will have more room on the fretboard. As your child starts to get older, they can benefit from a bit of more guided study. The Alfred’s Kid’s Ukulele Starter Pack has everything they need to get started. 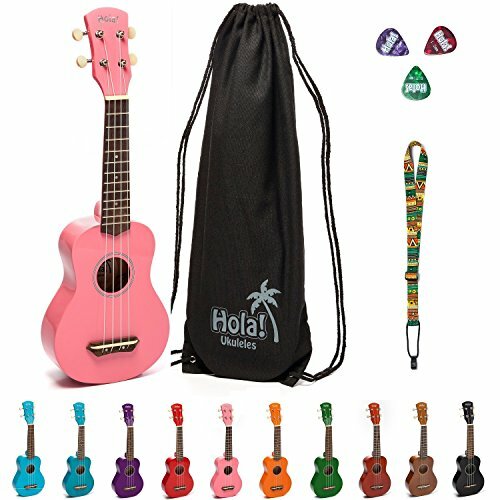 Included is a ukulele, carrying bag, an extra set of strings, and a ukulele course complete with a book, CD, and DVD. Find it here. The main benefit to this package is the coursework that will start teaching your child how to form chords and play different notes on the ukulele. 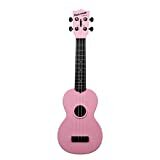 As you could guess by the low price, the ukulele here still isn’t anything that sounds impressive or that we would recommend to an adult, but it will work for kids who are learning. Another book we recommend is the My First Ukulele For Kids guide to learning the basics of the uke. Take a look here. 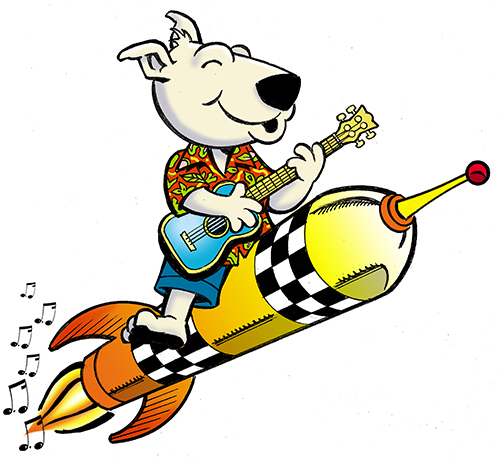 If your child is looking for online instruction to help get them started learning the ukulele, we recommend Rocket Ukulele. Rocket Ukulele will take your kid from a complete beginner to playing songs in 30 days. It’s a learn at your own pace course, completely online to work on whenever they have time. Beyond 15 years old, we recommend you take a look at our Best Ukulele for Beginners Guide, which is geared towards getting you the best quality ukulele for adults at beginner prices.